Location:Located at Sector 45 in Gurgaon, Go Rooms is a budget stay option in a premium colony. The hotel is couple of kilometres away from Huda City Centre Metro Station. The property features minimalistic decor and comfortable reception area. All the rooms have been done up in subtle hues. The wall in the rooms are white with colourful wallpapers. The rooms are spacious with all the modern facilities. 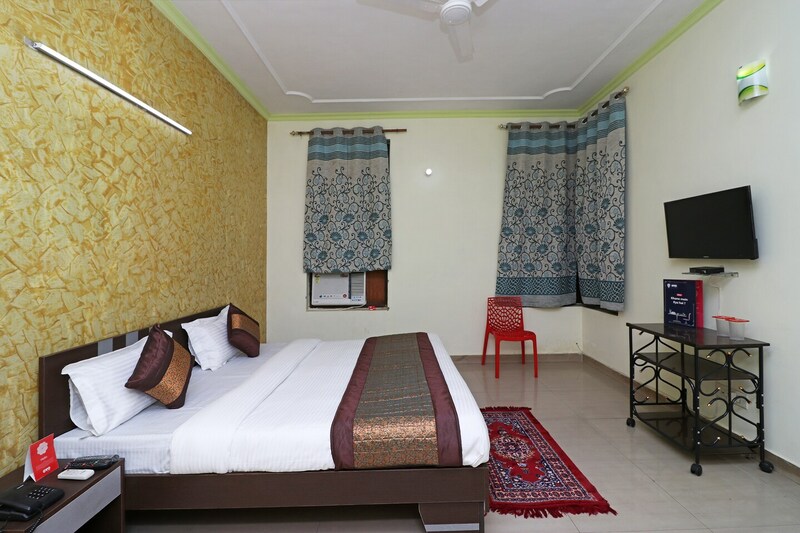 All the rooms on the property are well-equipped with amenities such as free Wi-Fi, king sized bed, AC, 24*7 power backup, parking facility, TV, seating area, geyser and a wardrobe.